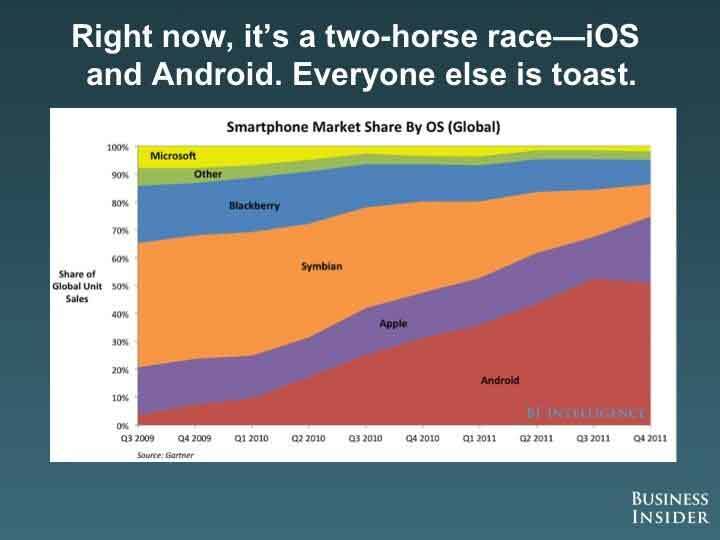 In the past three months, Nielsen says, Apple has grabbed a 43% share of the smartphones sold in the U.S.
Android’s share has increased versus a year ago–it still leads the market with 48%–but Android’s share gains appear to have stalled. In the U.S., Apple has finally broadened distribution of the iPhone to Verizon and Sprint, instead of just selling through AT&T. Apple introduced a “low-price” version of the iPhone. Broadened its distribution channels to major retailers like Walmart, Amazon, and Best Buy. Dominating the global tablet market.